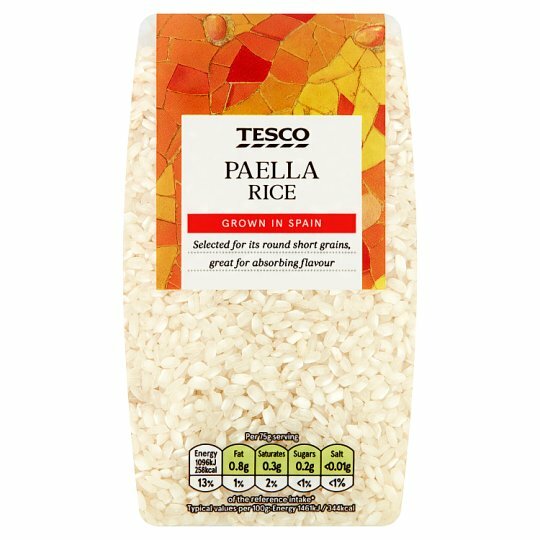 Spanish round grain paella rice. GROWN IN SPAIN Selected for its round and short grains, great for absorbing flavour. Store in a cool dry place., Once opened, reseal using tab provided. Instructions: Preparation time: 40 minutes. Add a ladle of hot chicken or vegetable stock to rice. Stir until the liquid is absorbed and the rice appears almost dry. Add another ladle of stock and repeat the stirring.